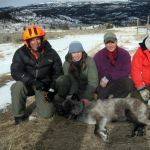 The Absaroka Wolf-Cattle project was created to evaluate wolf habitat selection and predation in a multiple-use landscape in the Absaroka Mountains of Wyoming, an area characterized by high levels of wolf-cattle conflict and a changing distribution of migratory and nonmigratory elk. We have been conducting this work in collaboration with the Wyoming Game and Fish Department and the U.S. Fish and Wildlife Service and have received much support from participating ranchers, sportsmen, U.S.D.A. 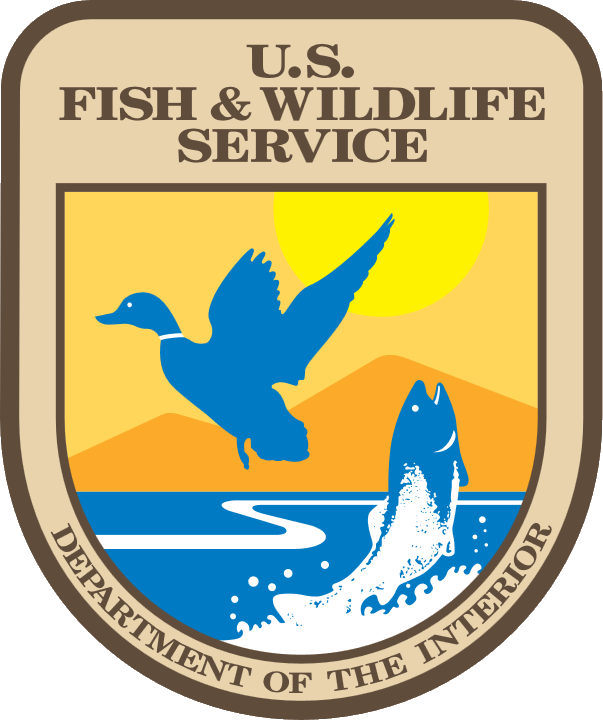 Wildlife Services, and U.S. Forest Service personnel. The study area spans from Cody, Wyoming to the northeast corner of Yellowstone National Park (YNP) and includes the seasonal ranges of the partially migratory Clark’s Fork elk herd and four resident wolf packs. Prior studies indicate that the distribution and abundance of elk can influence not only wolf movements but also cattle depredation patterns. Three of our focal packs –Sunlight, Beartooth and Hoodoo – rely on the fully migratory portion of the Clark’s Fork elk herd in winter. When these elk undergo a 20-30 mile migration into the upper Lamar River in YNP during the summer, the wolf packs appear to change their habitat use patterns and prey choices. In contrast, a fourth pack – the Absaroka Pack – relies on the nonmigratory portion of the elk herd that remain year-round in the foothills of the Absaroka Front. These elk often mingle in pastures with domestic cattle during the summer. By comparing the movement and predation patterns of these two different types of wolf packs, we hope to better understand the influence of migratory prey on the ecology and conservation of wolves. In the field, we have used GPS tracking of wolves and elk to assess the influence of elk distribution and migratory status on 1) wolf habitat use in summer and winter, and 2) the incidence and patterns of predation on livestock vs. wild ungulates. To characterize pastures with re-occurring livestock depredations each year, we located cattle carcasses using wolf GPS location clusters and reports from cooperating ranchers and agencies. In areas with recolonizing wolf populations, predicting wolf movements and conflicts can be challenging. Large-scale shifts in the distribution of wolves’ prey, including changing migratory patterns, further complicate efforts to sustain wolves and minimize conflicts. Wildlife management agencies often gather long-term information on the distribution and abundance of wild ungulates, and our study is providing some insights into how the distribution of such prey populations can influence the establishment patterns and seasonal movements of wolves. A primary focus of this work is to develop the means to characterize the risk of wolf depredation for cattle pastures, dependent on whether they occur where elk are migratory versus resident.